India has a lot to offer the weary traveller. You have beaches where you can unwind, the hills that are surrounded by lush green plains to sit back and relax and Ayurveda retreats. At these retreats, you can relax, recharge and refresh your mind, body and spirit. India boasts of a number of Ayurveda retreats where you can enjoy yoga therapies, ayurvedic treatments, massages and healthy food. We’ve listed some for the budget traveller as well. Take a look at some of the best places to enjoy a healthy break. There’s a reason why Ananda is frequented by celebrities from across the world, it’s easily one of the best retreats to heal your body and spirit. Spread over 24,000 square feet and located at the foothills of the Himalayas between the cities of Rishikesh and Haridwar, this sprawling property offers treatments from Ayurveda, Yoga, Vedanta and international therapies from around the world. It is on the expensive side, though. This serene resort is located along the Vembanad Lake, which adds to the stunning view of the property. Here you can melt all the stress of your life away with ayurveda that has been passed down through 5000 years. Some of the treatments include therapies to remove toxins, rejuvenate, de-stress, balance chakras and promote wellness. This retreat often features on lists of the most luxurious holiday destinations in the world. This 19th century palace was converted into a centre of ayurveda and how! It offers a great luxury experience and follows true ayurveda practices that have been passed on for generations. Here you can enjoy treatments that have been tuned according to body type. Therapies often include yoga and meditation for a more holistic experience. On the spa list you will find a range of relaxing massages, purifying baths and lots more. The Carnoustie Ayurveda & Wellness Resort is surrounded by amazing and calm surroundings. Here there are a plethora of ayurveda treatments. These treatments are great and help your body relax and rejuvenate. At the resort, there’s also an Aryavaidyasala centre that uses an ancient art of healing. For the best experience, you would want to choose from their signature Ayurveda plans. If you are keen to learn more, the resort publishes their own books with a ton of information on ayurveda. If you want a rustic and simple experience, then Sarovaram Ayurvedic Health Center offers a back-to-nature getaway from the trappings of modern life. Located close to the Kerala backwaters, this Ayurveda spa is spread over 3 acres and has a lot of Ayurvedic and yoga packages. It is family owned and run by third-generation of Ayurvedic doctors. 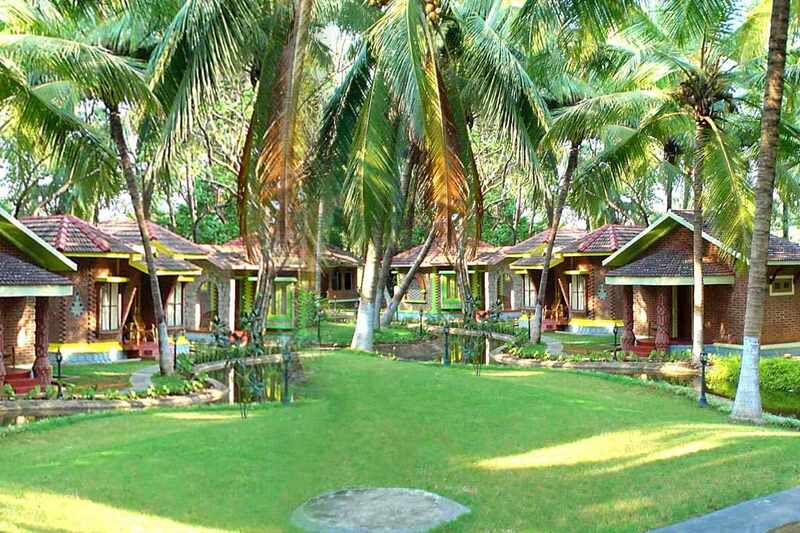 Highlight: Traditional Kerala Ayurveda massages, watch the sunset, stay at gorgeous cottages. While the Kairali Ayurvedic Health Village is great for a break or a short vacation, it’s main draw is its ayurveda treatments. The health village is located in the sleepy town of Palakkad and it offers an array of ayurveda treatments. They also have a yoga and wellness centre on their premises. Guests who visit can either opt for a one-day ayurveda spa session or book an ayurveda course than can last from one to 15 days. If you’re looking for a yoga getaway that has a lot of modern facilities, this retreat is right up your alley. Here you can get access to anything from WiFi to detox juices all in the company of ashtanga teachers. Here you can enjoy ashtanga training, with Mysore-style self-practice in the morning and special classes in the afternoons – this includes lectures on philosophy, yogic living, kirtans and pranayama. Highlights: There is a healthy café and massage therapies on offer here too. This ashram opened up in 1924 and since then has been teaching as well as offering yoga and ayurveda packages. You can truly relax here and spend up to a week where you can enjoy the large selection of treatments that include yoga with a focus on either relaxation, naturopathy or ayurveda. The green campus and healthy food is enjoyable, too. Highlights: This is one of the places for those who are serious about yoga. The Tushita Meditation Centre is a resort in McLeod Ganj that offers guests the perfect haven for peace, relaxation and rejuvenation. The Buddhist meditation centre has a variety of long term and short, one-day course that can be taken by everyone. The atmosphere and setting inside the centre are created to match a place of serenity, which is why you’ll find many trees and a lot of greenery around. There are certain rules that you need to follow, guests will be briefed about them upon arrival at the Tushita Meditation Centre. Highlights: Short and long mediation courses, group retreats. Set in an old, heritage house, the Mysore Mandala is a yoga centre set up in 2001. The place is also a haven of ayurveda. They provide a vast variety of ayurvedic treatments aimed at refreshing and relaxing the mind and body. The centre has classes on yoga and ayurveda regularly. Those interested in taking these courses can avail of accommodation at the centre. The added benefit of visiting the Mysore Mandala is that you can learn Organic Farming too. At the Ayurveda Yoga Meditation Resort, guests can do yoga and enjoy ayurvedic treatments while gazing at the stunning and serene Nilgiri Mountains of Coonoor. Refresh your sense and get that break you need at a resort that’s equipped with splendid ayurvedic treatments. The highlight treatment at the resort is the Kalari treatment. It is a traditional psycho-physiological discipline from Kerala’s past. Highlights: Kalari treatments, yoga and meditation camps, ayurveda treatments. These are some of the best Ayurvedic treatments in India. As you can see there are options across the country and they each have their own speciality. So, if you’re looking to let off some steam and just get away from it all – do consider the options listed above. Let us know about your experiences in the comments section below.